Switching to renewable sources of energy or heating for your business is something our expert team can advise you with. We have worked with clients across the Southwest and Wales, suppling and installing renewable energy heating systems. Our team will help find you the right energy source for your requirements, and can also help to organise planning permission if required. Air source heat pumps work by absorbing heat from the outside air, which can then be used to heat your business property. 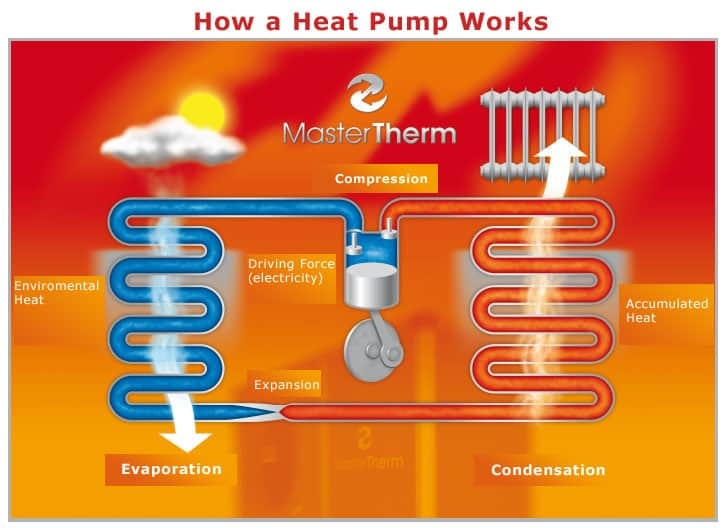 The heat that these pumps extract from the air is naturally renewed, so you will always have a reliable, constant and free source of energy. Ground source heat pumps take heat from the ground using buried pipes and utilise this to provide a constant, free source of warmth. Solar panels, or solar photovoltaics (PV), capture energy from the sun which can then be converted into free, useable electricity. We have helped businesses to generate energy and money through their panels and rewarding Feed in Tariffs. In addition to the above, we can also install solar water heating systems, as Micro-CHP (micro combined heat and power). We have a renewable energy solution to suit every property, budget and requirement, and our expert team will be happy to guide you through your options.